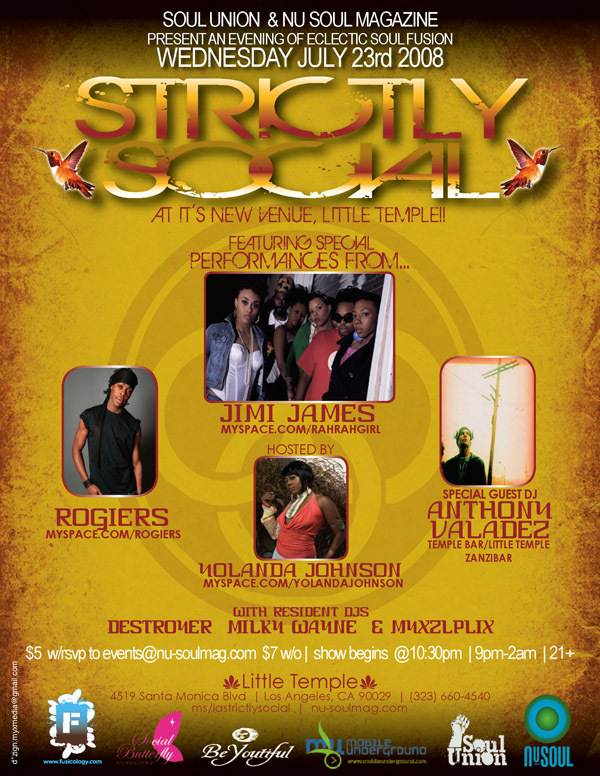 On July 23, 2008 Strictly Social is moving to the heart of Los Angeles at the renowned Little Temple! To celebrate we are bringing you an amazing lineup of talent that you won't want to miss. 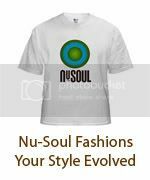 Nu-Soul Magazine & Soul Union present an evening of Eclectic Soul Fusion. If you missed her in January now is your chance to catch this very buzzed about artist. Sure to grab you attention with her energetic and creative live show, sick flow, and futuristic style, Jimi James is one to watch! Performing in support of his debut album Life & Music: All Of It, Rogiers delivers compelling songwriting and pristine vocals over diverse soundscapes ranging from future soul to dance beats.